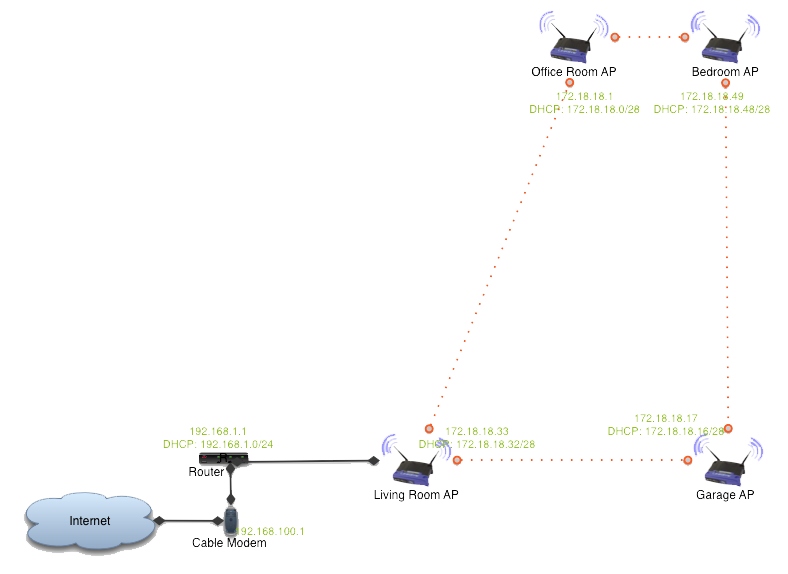 Once I had connected all routers I logged into the router to view the network topology. Here is what the page looked like. Notes: All speeds were measured in kilobytes, using a single client at a time. In this case, the speed of my WAN connection is a consistent 500 Kilobytes, so anything less than that is overhead from the OLSR mesh protocol (self awareness comes at a price), wireless interference and the hops from router to router. In my opinion, the hops are the most significant factor in calculating overhead. 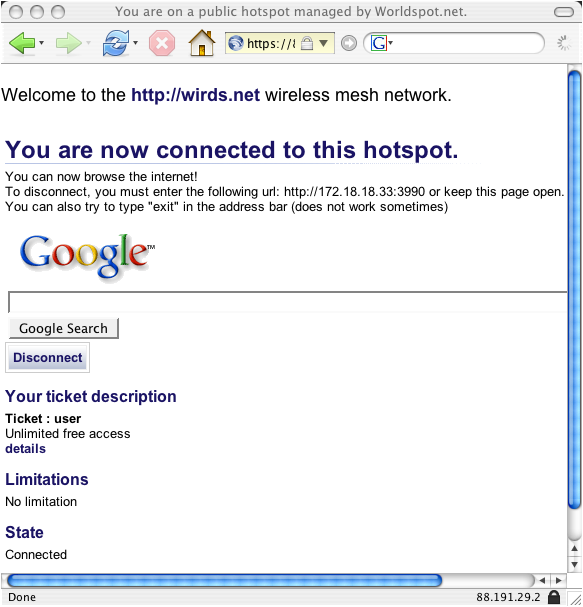 Both of the above networks are using the captive portal. I put in my username and password. I am authenticated against the worldspot.net radius server. 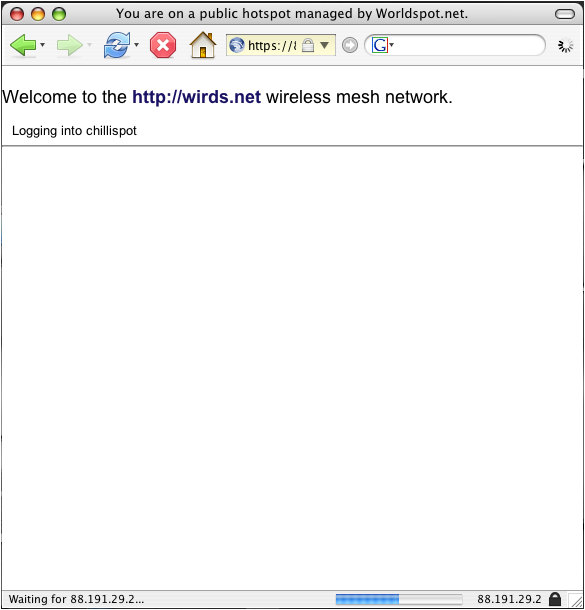 The radius server notifies the chillispot process (running on the local router) that I am approved to use the network. I'm fully online and able to connnect on all ports protocals. If I am idle for 5 minutes the connection will reset and I'll have to put in my username and password again. This page was last modified on 19 October 2013, at 11:41.